Standing with communities as they defend their lives and territories against unjust trade policies and the violent imposition of resource extraction projects. 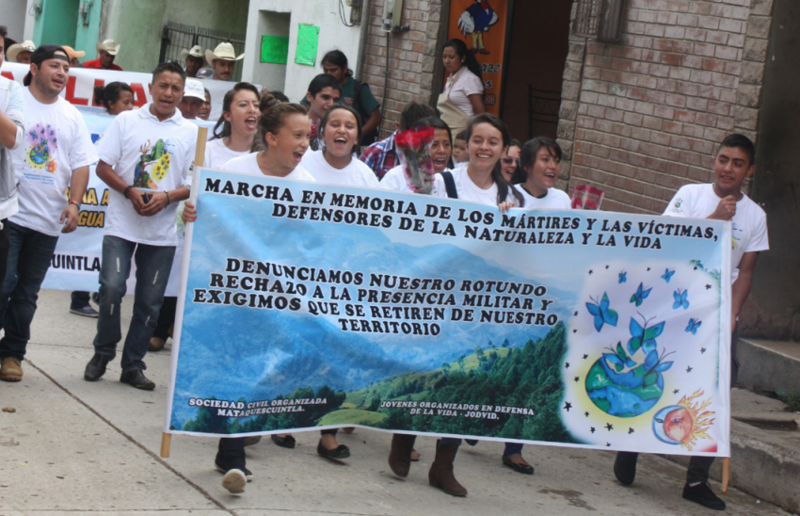 Youth organized with JODVID march in southeastern Guatemala march in commemoration of their heroes and martyrs - people who have lost their lives in the fight to protect their lands, including from Tahoe Resources' Escobal mine. 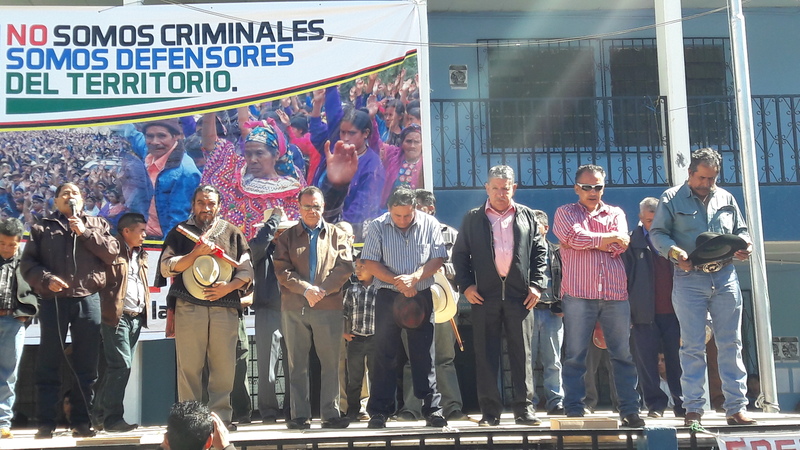 Community leaders from Huehuetenango, criminalized for their opposition to hydroelectric projects in their territories, return home after spending more than a year in pre-trial detention. 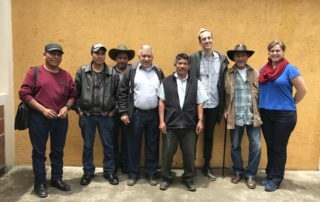 Our Defense of Life & Territory program works to support communities standing up in the peaceful defense of their lands and cultures, in opposition to North American mining companies. 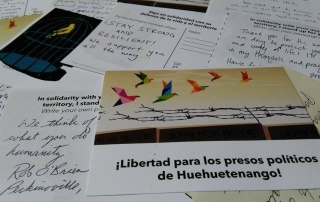 We provide strategic accompaniment to environmental defenders who have been criminalized by these same companies and mobilize our base to take action. 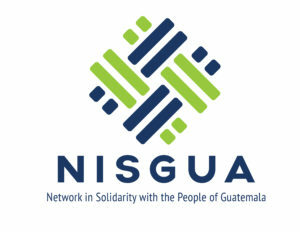 While the signing of the Peace Accords in 1996 facilitated the adoption of national laws and international agreements that recognized the particular rights of indigenous peoples, the post-conflict neoliberal economic model prioritized resource extraction — a practice fundamentally at odds with upholding these rights. Transnational mining and hydroelectric companies were given free rein to begin operations without the consent of impacted communities, and they quickly gained access to huge swaths of land in order to carry out resource exploration and exploitation activities. 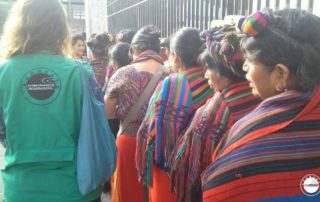 In response, indigenous communities began to use their ancestral decision-making practices as a form of resistance. The first consultations in 2005 strengthened a movement for self-determination and resistance to mining across the country. Over the next ten years, over 80 consultations took place in 11 of the 22 departments of the country. 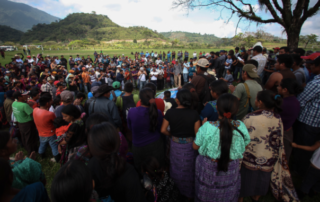 Many of the consultations are celebrated annually, reaffirming the demands of the communities as they continue to face exclusion from the decision-making processes that affect their territories. 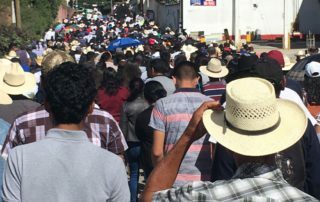 Non-indigenous Guatemalans have also organized community referendums, using municipal and Constitutional legal frameworks to claim their civil rights and determine their own forms of development. 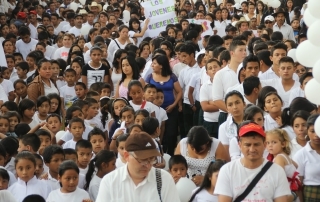 This resistance, however, has been met with targeted violence by state and corporate actors. 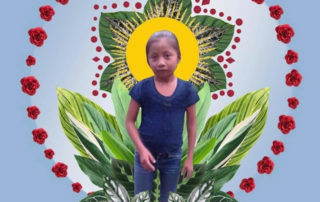 According to the Unit for the Protection of Human Rights Defenders in Guatemala (UDEFEGUA), those defending indigenous rights and the environment are among those facing the highest number of attacks in the country. 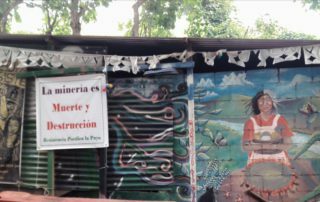 Trends point to higher numbers of threats, assaults, criminalization, and murders of those organizing to protect land against transnational mining and hydroelectric companies that are operating in their territories without consent. 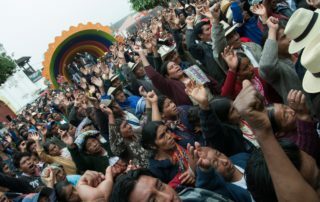 While the signing of the Peace Accords formally ended the 36-year internal armed conflict in the country, an alliance between the corporate sector and military elite has endured, allowing for conflict-era tactics used in the name of counterinsurgency to continue and be further adapted to attack land defenders today. 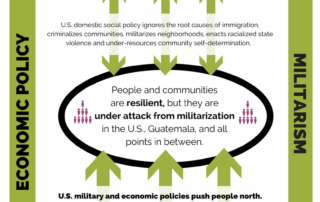 No to the militarization of communities and borders. Yes to self-determination!